Human brains are wired to organize communication processes into stories. We think in the narratives and we are able to listen to other persons’ stories with not only cognitive understanding but also with empathy only through the involvement of certain brain activities. The newest research in neuroscience shows what brain structures are stimulated while sharing stories and gives numerous answers on how storytelling affects the brain. 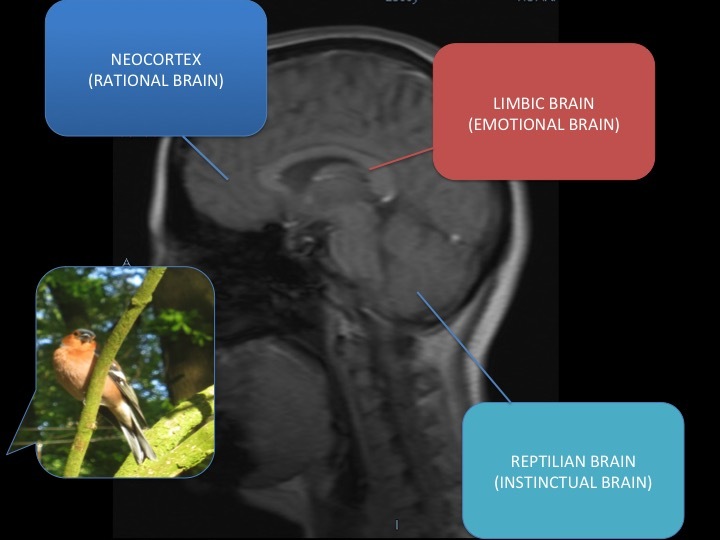 the neocortex – rational brain (neomammalian complex). Story sharing is more powerful than processing data and facts as it activates not only the rational brain but also the emotional brain – the limbic system. The limbic system is responsible for both: dealing with emotions (in the amygdala) and the formation of memories (hippocampus). Both structures work in tandem when met with positive or negative stimuli. The process works in both ways. The amygdala is activated by an external stimulus, for instance a pleasant smell. If that stimulus has a lasting impression, it will be encoded into the memory by the hippocampus. Such mechanism guarantees that when we discover the same smell again, we would connect it with a past positive memory. By making someone not only understand but also feel und activate empathy in experiencing the story told in such a way that different senses are stimulated, you can create a long-lasting memory. “The emotionally charged event [(shock, surprise, fear, joy wonder) called like that by brain researchers due to its hooking effect on people] persists longer in our memories and is recalled with greater accuracy than neutral memories”, says molecular scientist, John Medina. He continues „When the brain detects an emotionally charged event, the amygdala releases dopamine into the system and dopamine greatly aids memory and information processing. That is the reason why skillfully used images, descriptions of events involving our senses and emotions will be remembered much better than a chain of abstract concepts without any story behind“ (Compare John Medina, Brain Rules, 2010). Pre-frontal cortex – ability to recognize the social norms and situations when we acted contradictory to them, responsible for detecting and dealing with emotional conflicts, solving dilemmas and moral conflicts. It also is responsible for the ability to recognize different options and to cooperate with other people as well as the ability to compare the own point of view with different perspectives. Cingulate Cortex – regulates the interdependence between cognitive and emotional processes. It is responsible for emotional instability and episodes of non-controlling of emotions and it is activated when we either experience pain or see someone suffering. Additionally, it is responsible for personal dilemma and moral conflicts. Temporal-parietal junction – TPJ plays an important role in judgment of someone’s intentions and views” (Jośko-Ochojska, Jadwiga (2015): Neurofizjologia empatii – o tym jak człowiek kształtuje człowieka in: Zrozumieć drugiego człowieka. EMPATIA, p.13). As you see, “what you do and learn in life physically changes what your brain looks like—it literally rewires it.” (Compare John Medina, Brain Rules, 2010). Changing the narrative – changes our thinking patterns, changing the metaphor being the basis of the story – can literally change our mindset. The brain plasticity makes it possible. As our brains seem to rely on past experiences in deciding how to combine signals from the surroundings now, two persons can perceive the same event very differently. Additionally, people who have gathered their experiences in different cultural circles would automatically „slide the interpretation of the situations they experience to the „old slots“ if they are not given a story – offering a context and a bigger picture, and above all an explanation giving the answer to the „why“ in the new, unknown cultural context. That is the reason why neuroscience needs to be involved in the discourse of the power of storytelling in the intercultural communication with the double effort. As Annette Simon emphasizes this phenomenon in her book: „A good story helps you influence the interpretation people give to facts. Facts are not influential until they mean something to someone. A story delivers a context so that your facts slide into new slots in your listeners‘ brains. If you do not give them a new story, they will simply slide new facts into old slots“ Simmons, A. (2006) The Story Factor. New York: Basic Books.